Sunday night we hosted our first retreat group! Seven lovely people spent a couple of hours creating in the art room, then some time talking and laughing (and eating) around the campfire. The weather was just about perfect and we all had a great time. 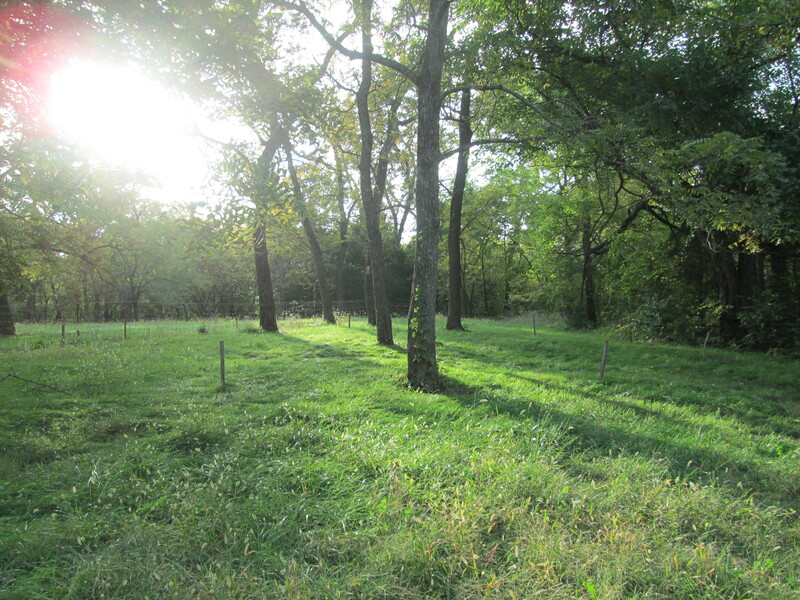 I spent yesterday morning–my sabbath time–working on the labyrinth. 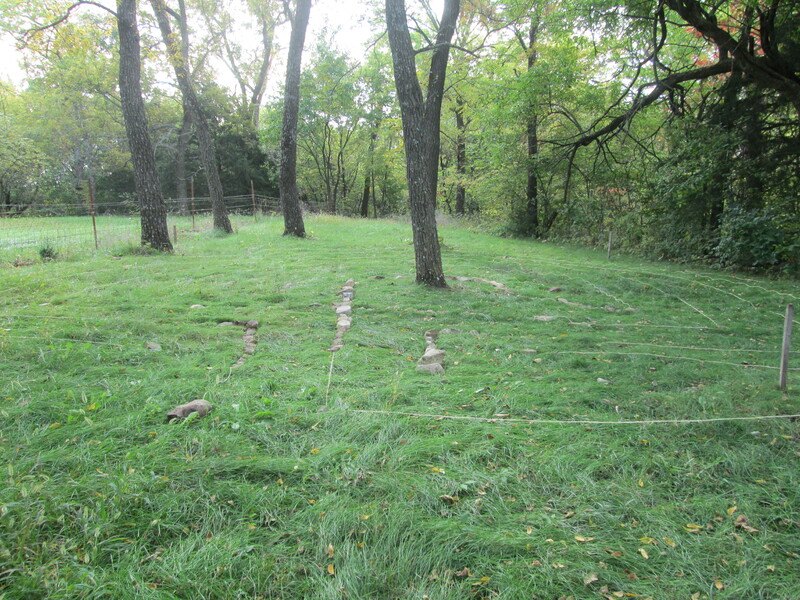 After re-adjusting the path width to fit the space, I got it lined out with rocks and rope (and sticks and stakes when I ran out of rope). It will take quite a while to haul and lay all of the rock, but it feels like it’s on it’s way. Our next Open Space day is Friday, October 25, from 9 to 4. 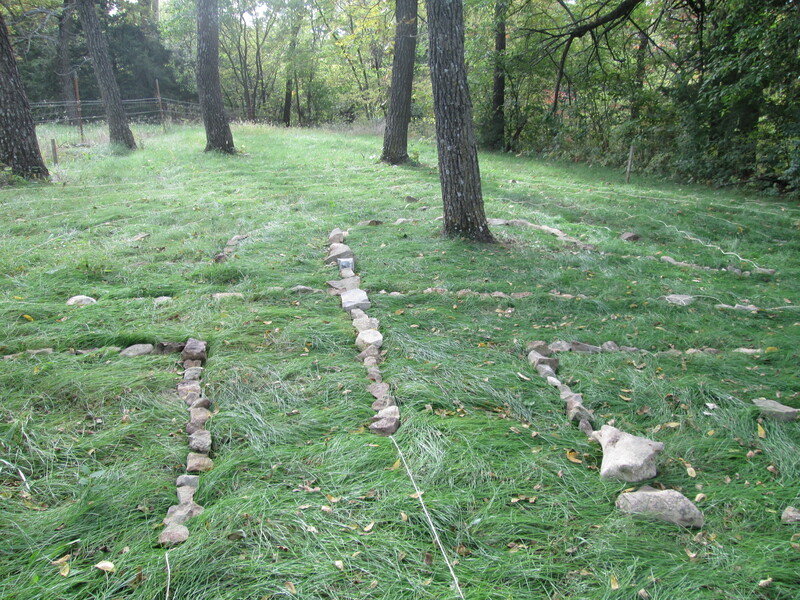 (Anyone who comes can help lay rocks for the labyrinth! . . . or not . . . ) That’s the last one on the schedule so far. We’ll add more dates soon. The first directed retreat on the schedule is a Day of Creativity on Saturday, November 9. This will be a chance to play and pray in the art room, with opportunities for sharing and silence. I do hope that those of you who live nearby can make it out to the retreat space sometime. You can register for a retreat here. If the scheduled retreat opportunities don’t work, just contact us and we’ll try to work something out.